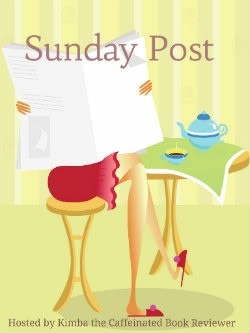 Sunday Post/ What are you reading? Blood Colony – The blood of immortals is being used to heal diseases and some people will go to great lengths to stop it. 5 Books for My Vegetarian Soul – Sometimes reading food books by carnivores is just too much for me. I was in a bit of a reading slump in March. Actually, I read a lot but I wasn’t finishing a lot of books. I finished 10 books. The authors were 3 white women, 2 black women, 1 black man, 1 Hispanic man, 1 Chinese man, and 2 Chinese women. “As a cassandra sangue, or blood prophet, Meg Corbyn can see the future when her skin is cut—a gift that feels more like a curse. Meg’s Controller keeps her enslaved so he can have full access to her visions. But when she escapes, the only safe place Meg can hide is at the Lakeside Courtyard—a business district operated by the Others. A book about a werewolf who runs a bookstore? I’m in. Here are the stories of Alexandra, whose faith in Rasputin and tragic end have become the stuff of legend; Marie, the flamboyant and eccentric queen who battled her way through a life of intrigues and was also the mother of two Balkan queens and of the scandalous Carol II of Romania; Victoria Eugenie, Spain’s very English queen who, like Alexandra, introduced hemophilia into her husband’s family—with devastating consequences for her marriage; Maud, King Edward VII’s daughter, who was independent Norway’s reluctant queen; and Sophie, Kaiser Wilhelm II’s much maligned sister, daughter of an emperor and herself the mother of no less than three kings and a queen, who ended her days in bitter exile. I’m really interested in this topic but so far the format of the book is sort of confusing. I hope it settles down so I can get drawn into it. 10 books for the month sounds good to me. I like how you keep track of the settings. Wow, what an array of books you read in March! Enjoy this week’s books!